The Bedale hotels listed below are either in the town or we have given a rough guide as to how far they are from Bedale. We hope you enjoy your stay and find your ideal accommodation. Situated just off the A1 motorway, this lodge with restaurant is well situated between the North Yorkshire Moors and the Yorkshire Dales. It offers free Wi-Fi and Scotch Corner is just a 15-minute drive away. Situated just off the Market Place in the town of Bedale in the Yorkshire Dales, this charming inn offers 5 rooms and a traditional pub serving real ales and home-cooked food. Situated in the countryside of North Yorkshire, this 4-star family-run bed and breakfast offers spacious, beautifully decorated accommodation. Guests are greeted with tea and home-made cakes. 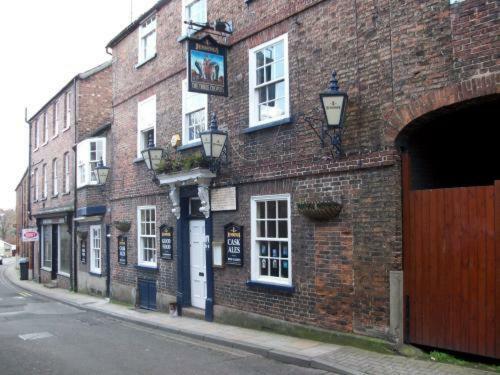 For hotels accommodation in other areas nearby see Darlington hotels & Richmond hotels.